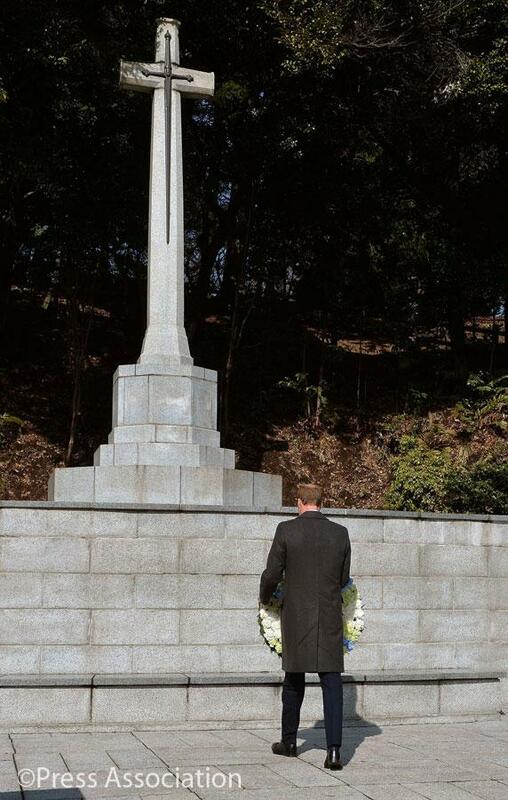 The Duke of Cambridge began his second day in Japan by paying his respects and laying a wreath at Hodogaya Commonwealth War Graves Cemetery in Yokohama, about 9 km west of Tokyo. His Royal Highness was accompanied by the Defence Attaches of the UK, Australia, New Zealand, Canada and India, all of whom have soldiers buried at the cemetery. Representatives of the USA, the Japanese Government and the Japanese Self-Defence Force were also present. The War Cemetery was constructed by the Australian War Graves Group after the Second World War and contains the graves of Commonwealth servicemen who died in Japan as prisoners of war or with the occupying forces after the war. It comprises of four main parts; the United Kingdom section, the Australian section, the Canadian and New Zealand section and the Indian Forces 1939-1945 section. On his wreath, The Duke wrote ‘May we never forget all those who paid the ultimate sacrifice for our freedom’ which he lay at the Cross of Remembrance. 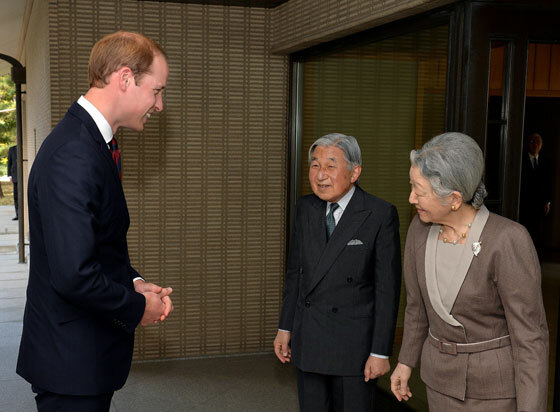 Later in the day Their Majesties the Emperor and Empress of Japan welcomed The Duke of Cambridge to luncheon at the Imperial Palace before His Imperial Highness the Crown Prince of Japan invited The Duke of Cambridge to join him for an audience. In the afternoon The Duke launched the Innovation is GREAT campaign at Academy Hills on the 49th floor of the imposing Mori Tower in Roppongi, which – on a clear day – has stunning views over Tokyo towards Mount Fuji. Both astronauts are bound for the International Space Station this year and have a unique opportunity to encourage partnership and innovation during their missions. The start of this symbolic partnership between the two astronauts and two countries will be marked with a sake barrel-breaking ceremony on stage. This colourful ceremony is traditionally performed at celebratory events, representing harmony and good fortune. 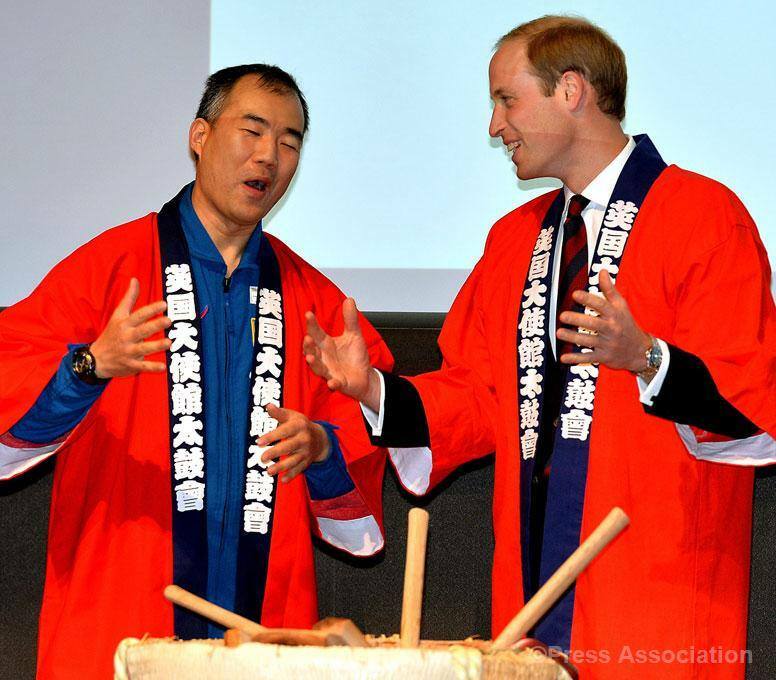 The Duke of Cambridge laughs with Astronaut Soichi Noguchi as he is clothed in a Japanese Happi coat before a Saki breaking barrel ritual. His Royal Highness was attending the Innovation is GREAT conference in Tokyo, promoting trade between the UK and Japan, 27 February 2015. The Duke afterwards met three UK Tech Award winners and see a number of product displays demonstrations of British innovation, which are on show for the Japanese delegates. 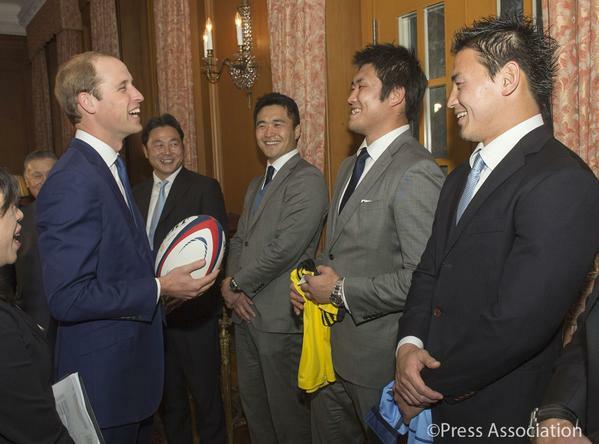 The last engagement of the day was a reception at the British Embassy, given by the Ambassador, where The Duke of Cambridge met high profile Japanese figures including politicians, artists, young leaders, sportsmen and other leaders in the field. 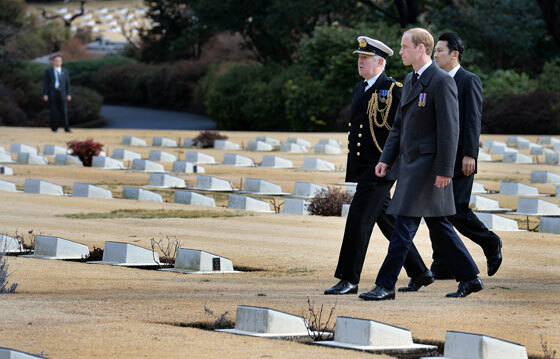 Another GREAT day for Prince William’s visit in Japan! It’s in that spirit of collaboration and a shared history that I am proud to open the Innovation is GREAT campaign here in Tokyo. This entry was posted in Rule Britannia! 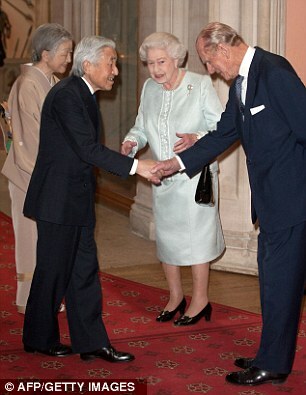 and tagged Britain, England, Prince William, Royal Visit Japan, The Duke of Cambridge. Bookmark the permalink.